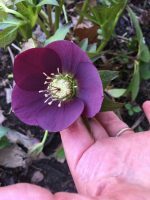 If you like to experiment with new plants in your garden, try some of these that our members successfully enjoy. 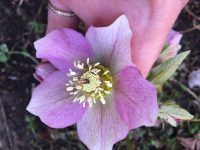 Blooming in early April in Michigan, the hellebores is sometimes called Lenten roses. 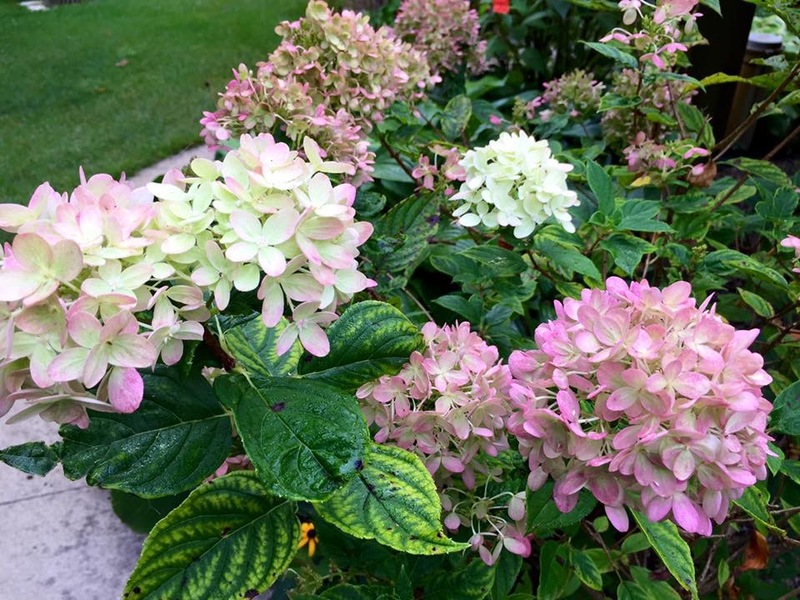 These plants do best when planted in morning sun, dappled light or part shade. 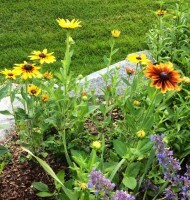 Deer and rabbits do not bother either the foliage or blooms and there are not many problems with pests or disease. The blooms last for a very long time especially if the temperatures stay moderate. They do reseed and will cross pollinate and sometimes a totally new flower type will appear. The first four pictures are singles and the bottom one is a double. Ephemerals are those plants that complete their annual growth, bloom and seed production either entirely or almost entirely before the leaves on trees and shrubs mature. They then disappear until the following year. They take advantage of spring sunshine and moisture to complete an entire life cycle. Virginia Bluebell (Mertensia virginica) blooms in April with lovely foliage and bright bloom color. It thrives in shaded moist areas, will form lively clumps, and is deer resistant. It is available in nurseries. 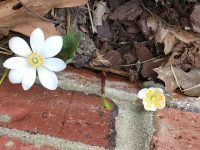 Bloodroot (Sanguinaria canadensis) is a true woodland ephemeral blooming in April. The blooms, true white with a bright yellow center, last only a day or two but can form lovely clusters. Native plant nurseries may have this plant for sale in early spring. Please don’t dig it from the woods unless you know that the plant is in danger of being removed by construction or destruction of its habitat. 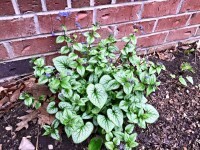 This wonderful spring blooming perennial, common names Siberian Bugloss or False Forget-Me-Not, may appear in late April. The tiny blooms are the most beautiful blue and the bloom period can be extended well into May and even early June by removing the spent blossoms. The lovely grey veined foliage will last throughout the entire summer. Seedlings may appear and some may revert to the solid green of regular Brunnera, but they are easily removed. Plant in shade to partial shade in a somewhat damp area. 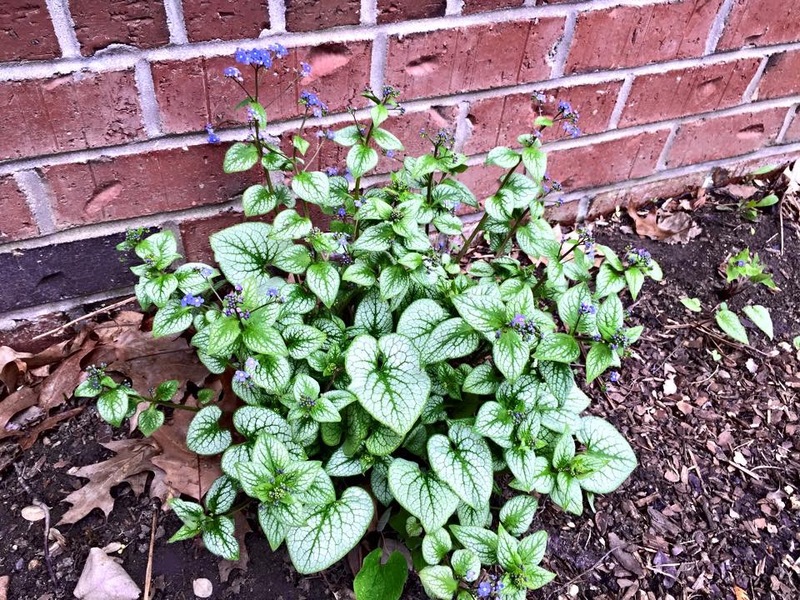 Oh, and Brunnera is highly deer resistant! 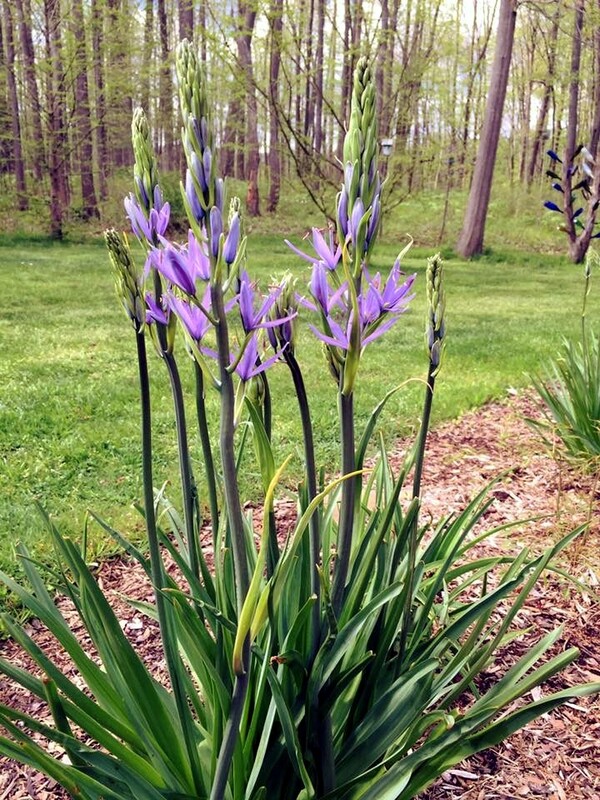 Blooming in late May/early June, Camassia is a wonderful addition to spring flowering bulb gardens. The plant does well in areas that provide more moisture. Many of our commonly used bulbs such as daffodils and tulips would never survive where Camassia may thrive especially at the edges of streams and ponds. Dryer conditions during dormancy in the summer are tolerated. Site and plant this bulb where you intend for it to remain as it does not tolerate moving very well. 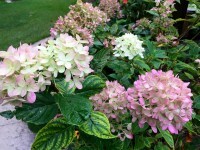 Blooms will last 2 – 3 weeks and it will reach 18 – 24 inches in height with clumps forming after several years. This bulb will add lovely verticality to your spring garden and will do well in part sun to sun. Specialty nurseries may offer the plant grown from bulbs planted in the fall, but it is easily located in reputable bulb catalogues. 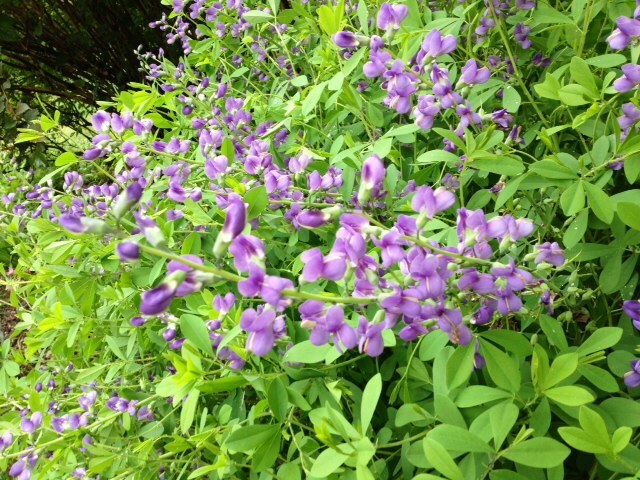 The beautiful blue pea like flowers are followed by lovely seed pods if spent blooms are not cut back. 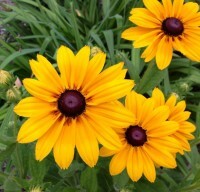 It blooms in June, does best in full sun and grows to 3-4 feet tall. It is not too picky about soil type and likes dry to medium moisture. Do not move once planted. It may require staking if not in full sun. 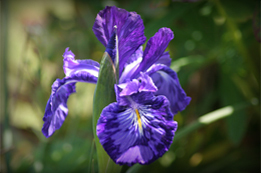 A beautiful specimen can be viewed each June in the Children’s Garden at Van Hoosen Farm. 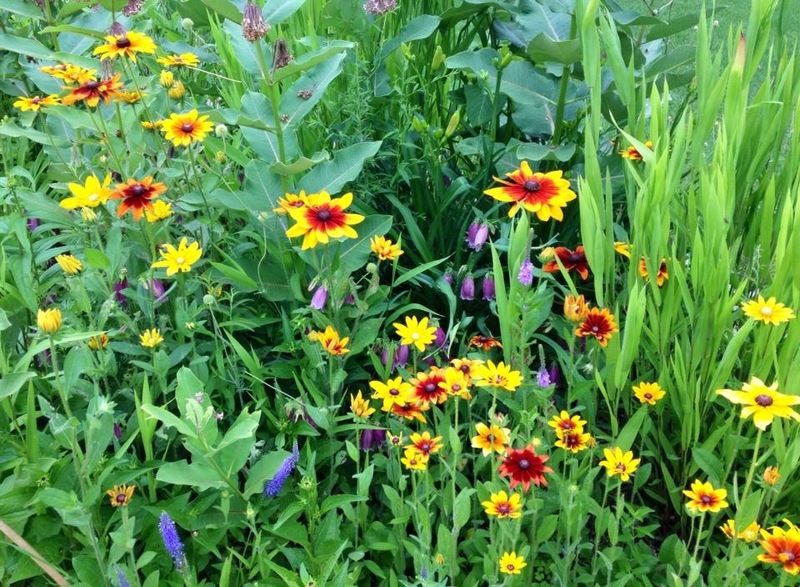 Who says native plants aren’t colorful? This bright orange beauty certainly disproves that misconception. 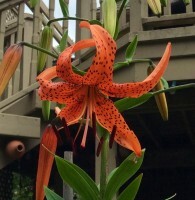 It blooms in late June or perhaps July and grows 18-24 inches. Once established, it thrives on neglect. 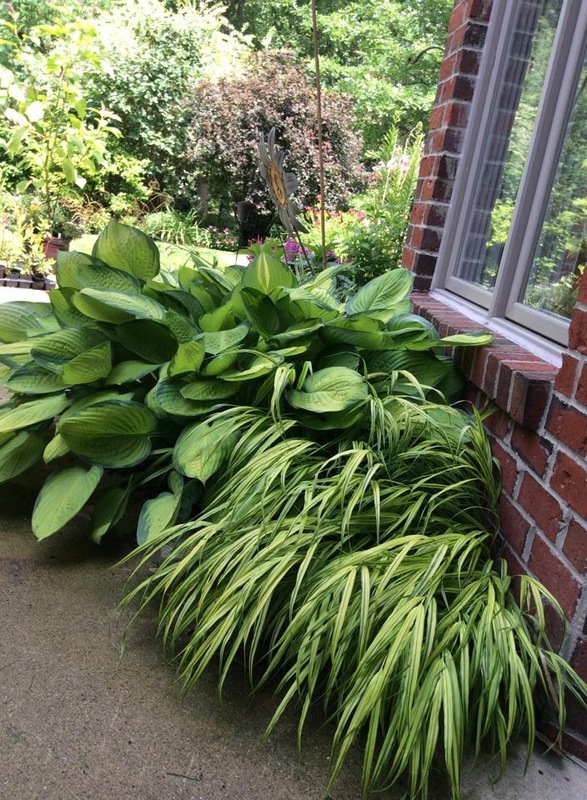 Loves heat and the very long taproot means it does not require much, if any, supplemental watering so locate it where it will not have “wet feet.” Place this plant where you want it to spend its entire relatively long life as it probably won’t survive relocation. It is a milkweed so it is a host plant for the Monarch butterfly. It will spread a bit, but is not aggressive. Full sun is required for success! 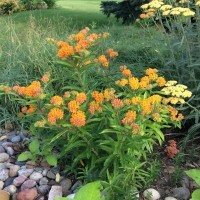 These easy care hybrids (‘Indian Summer’, ‘Prairie Sun’, ‘Cheyenne Sky’, ‘Cherokee Sunset’, ‘Irish Eyes’) are relatively short lived perennials that might survive a season or two. 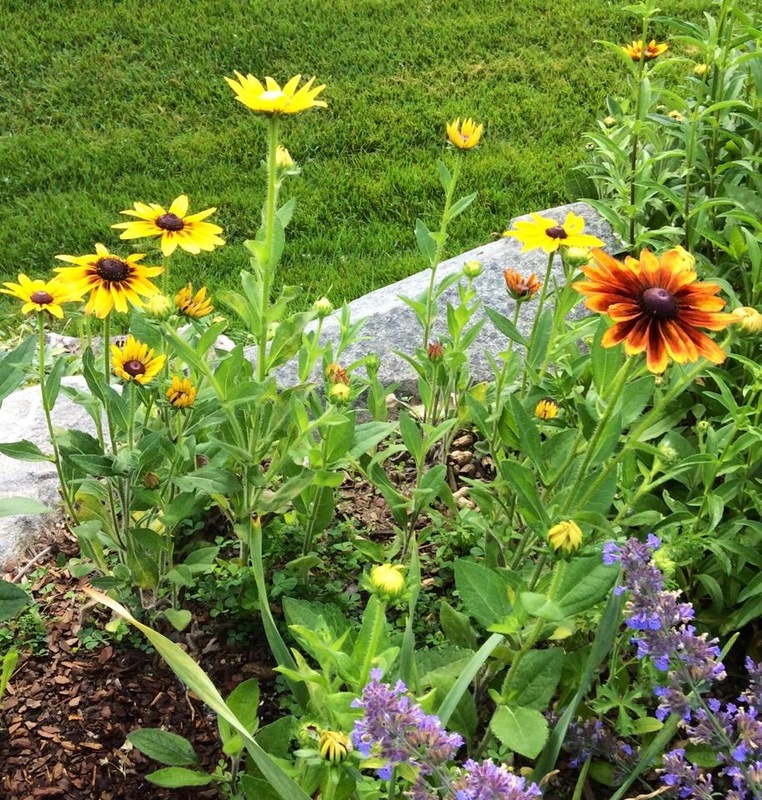 By not deadheading the late blooms in August, they will self sow to provide plants next year providing you do not use weed preventatives such as Preen. They will flower early in their first year so having plenty usually isn’t a problem. If too many pop up, they are recognized by their slightly hairy stems and can be easily pulled. They tolerate dry clay oils but benefit from supplemental moisture during periods of drought. They need full sun, grow 24-36 inches high, are deer and rabbit resistant, make great cut flowers, and attract butterflies. What more could you want! 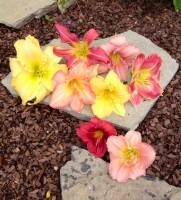 Daylily or perhaps you consider them deer salad! Deer love them, but if you can hang in there with deterrents — we use the granular Deer Scram — they are rewarding. Full sun, average moisture, divide occasionally is about all they require. There are even a few scented varieties. This grass is a favorite for flower arrangements as seen above. It grows best in part shade — morning sun or dappled light are best. 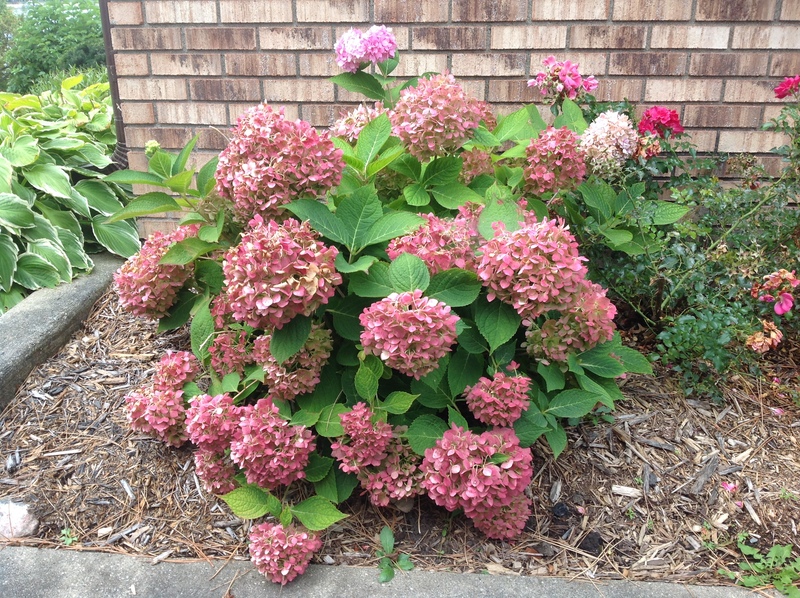 It grows 1 to 1 1/2 feet tall with a spread of perhaps 2 1/2 feet after a few years. It would NOT do well in dry soil and probably would not thrive in solid clay without amending with a bit of compost. 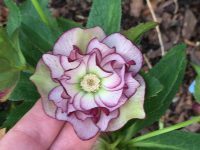 A clump will take a few years to establish if you start with a single plant, but it is worth the wait. 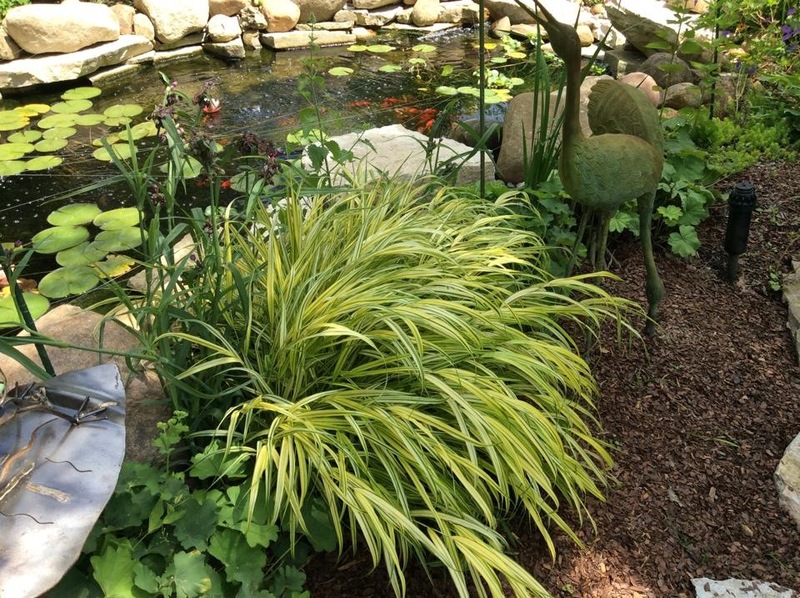 Hakonechloa is not bothered by pests — and so far not by deer either. Leaves will scorch if planted in too much sun. 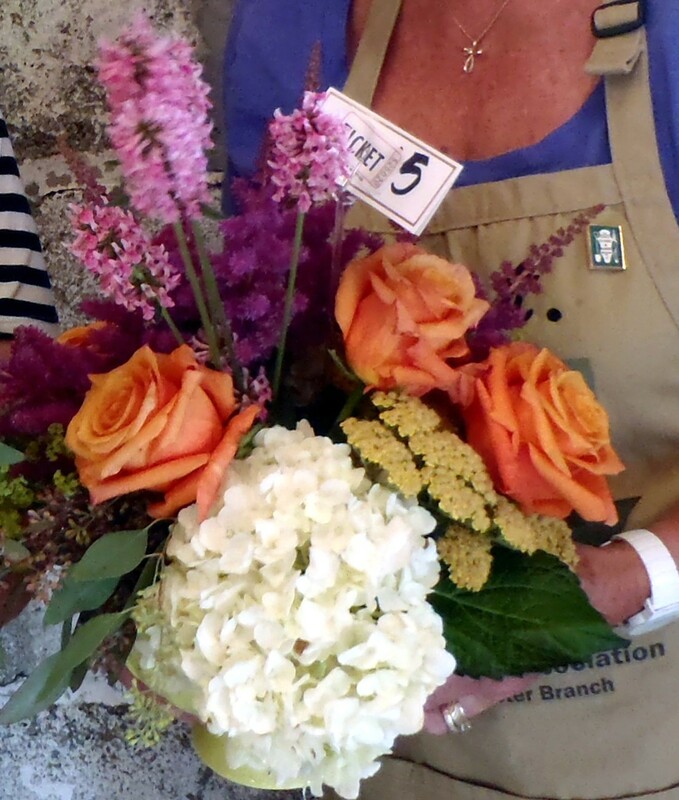 It may ‘bloom’ in August but the bloom is nothing to get excited about. 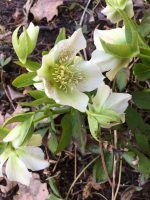 It is beautiful in woodland or shaded gardens and looks especially lovely near water. According to one gardener, using graceful grasses near ponds mimics the movement of wind blowing across the water. 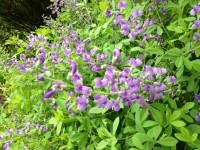 It is also lovely planted near walkways and stone walls. Pictures (l to r) ‘Pink Cotton Candy’, ‘Hummelo’ and as an addition to an arrangement. 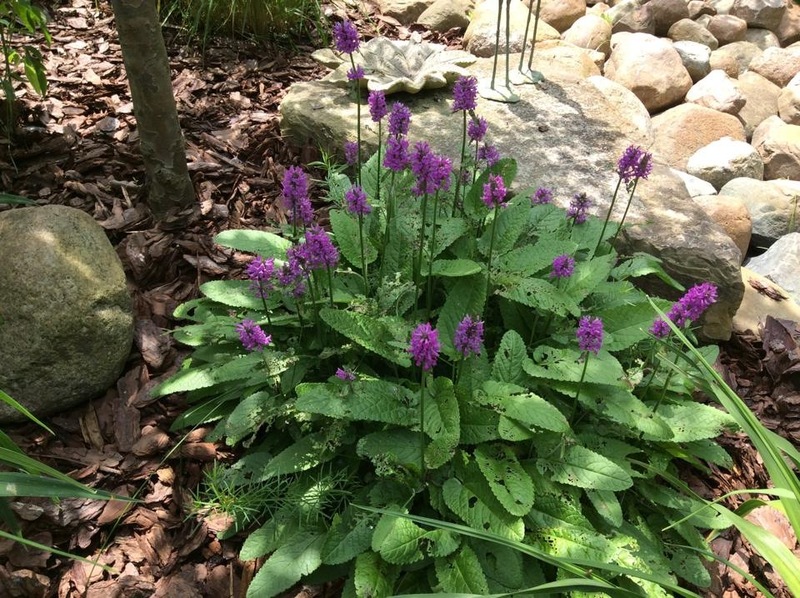 The underutilized Stachys officinalis will be a nice addition to your garden but will need to be placed to receive at least 6 hours of full sun. 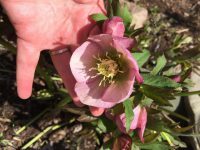 They are easy to grow, bloom from July through possibly August if spent blooms are removed, are deer resistant and should perform pretty well near black walnuts. The foliage only grows to about a foot in height, but the blooms will easily take the plant to around 2 feet. In the picture above, ‘Hummelo’ shows some damage from the dreaded four line plant bug which has been a particular problem in 2014. To avoid using pesticides, try using insecticidal soap to help against this problem. This Stachys is not a native but shows no indication of being aggressive in the garden. 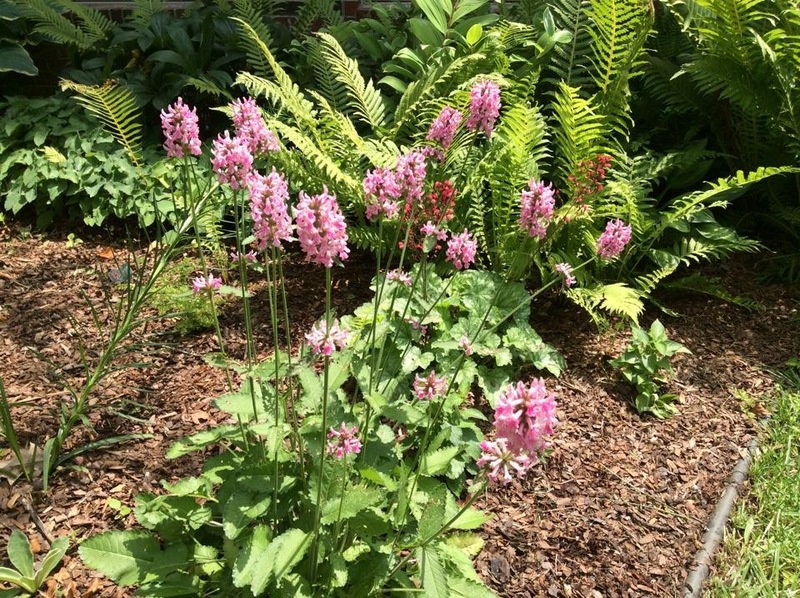 It is hard to imagine that these plants are in the same family as Lamb’s Ears, isn’t it? A tip for those of you who love Lamb’s Ears foliage but hate the blooms — grow Stachys byzantina ‘Helen Von Stein’. It has the same lovely foliage and does NOT bloom! 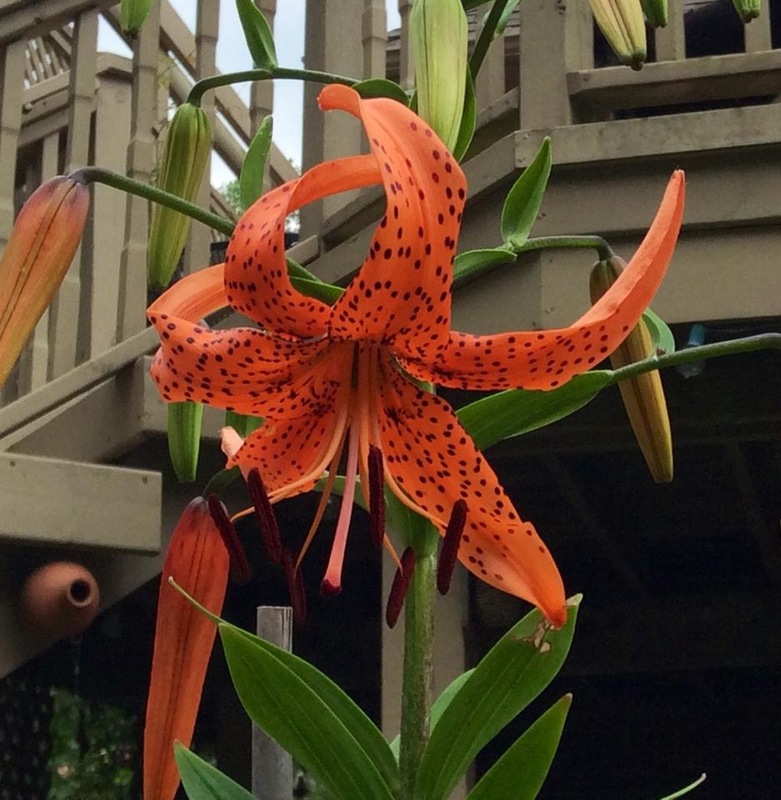 The picture in the left is the much loved Tiger Lily (Lilium lancifolium) that grows quite tall – perhaps to 5, 6 or even more feet in height. It isn’t very picky about soil and will even grow in a a bit if shade. It enjoys a little moisture, but after establishing will tolerate fairly dry areas. Tiny ‘bulbils’ form on the stem and can be collected and grown indoors under light until large enough to plant outdoors. This lily is native to Eastern Asia. 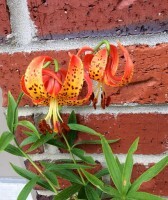 Pictured on the right is Lilium michigannese – a native of Michigan and the Midwest. 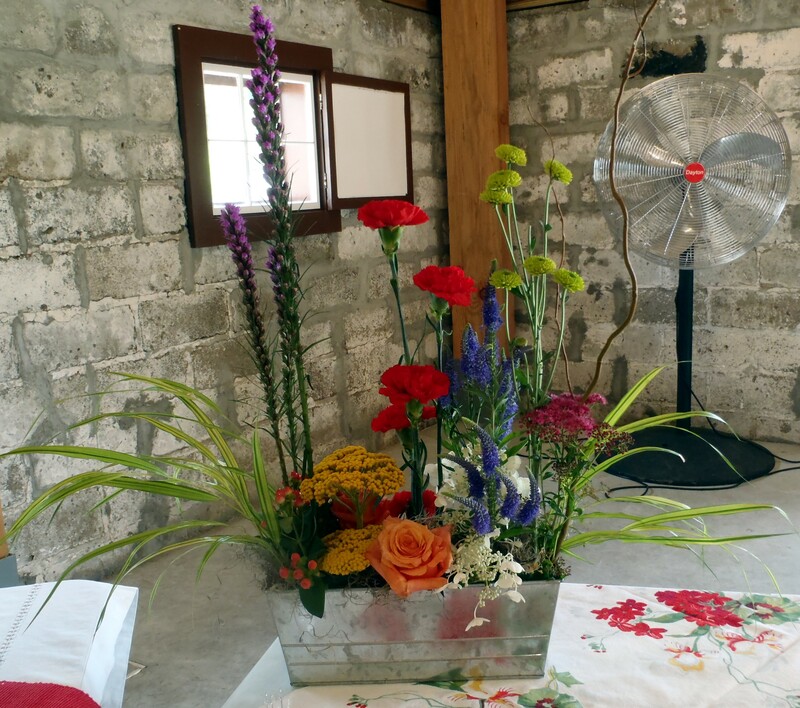 It will grow from 2 to 5 feet in height in almost any soil with either full fun or part shade. It does prefer a somewhat moist soil. It looks lovely in large groupings and hummingbirds will visit. Both lilies are downward facing and the coloration is similar. 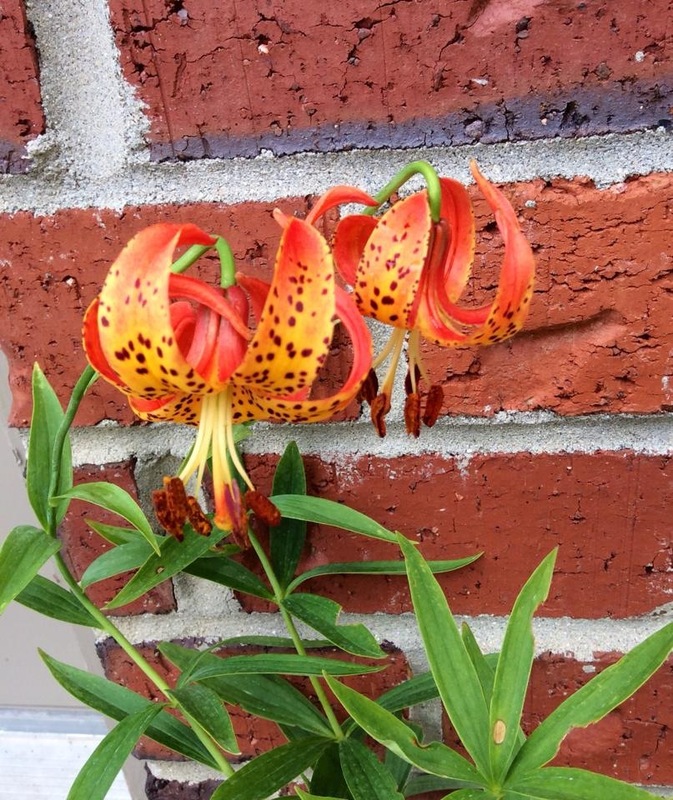 The Michigan lily may be a bit more difficult to locate in nurseries but might well be worth the search! 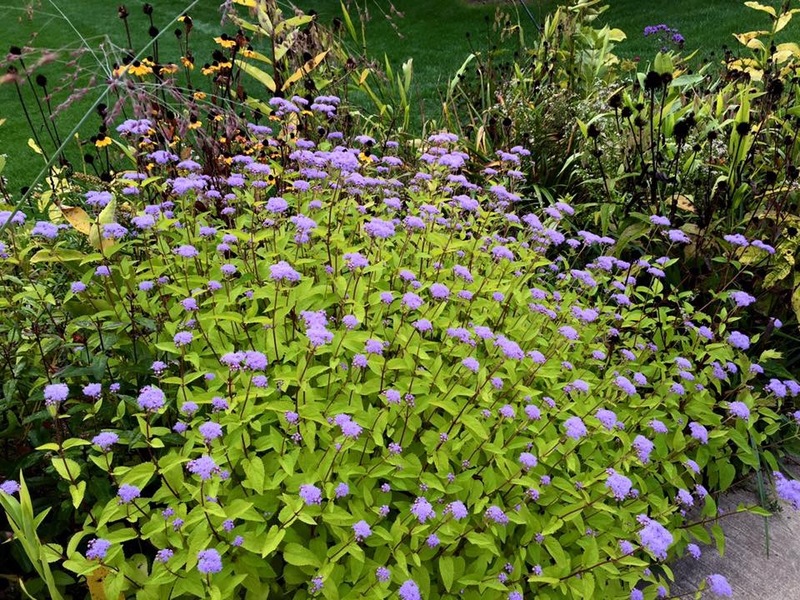 This plant looks much like a tall ageratum with almost chartreuse foliage. It begins blooming in mid to late September just when something new and colorful is most welcome. It does spread so just give it room to do so. 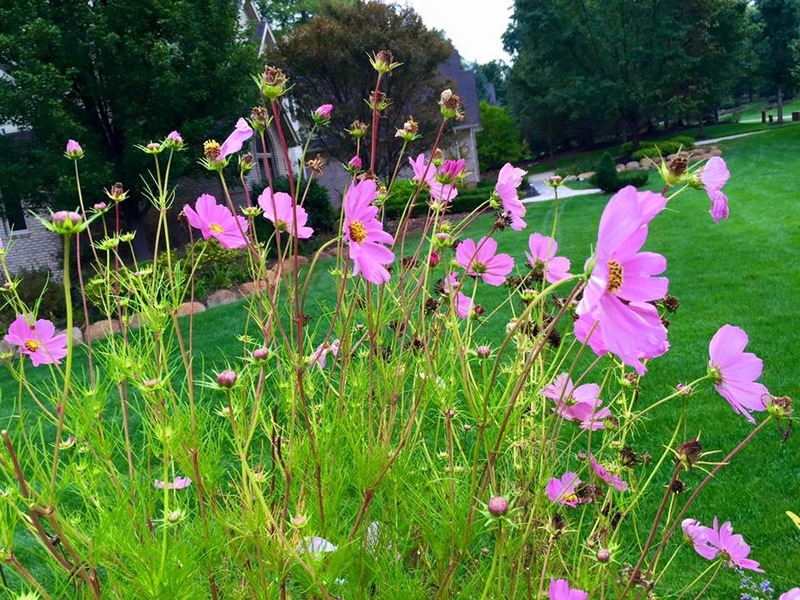 Common garden variety cosmos will continue blooming especially if they have been deadheaded. This plant is much happier when grown from seed and not transplanted.